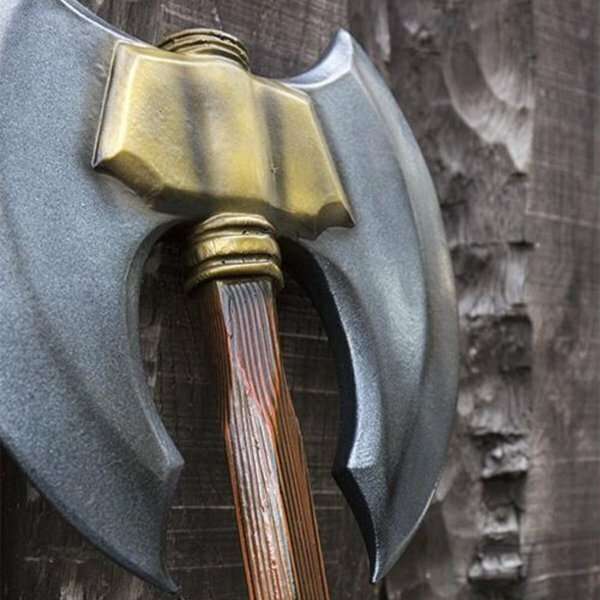 The axe was traditionally a tool that everyone had at home. 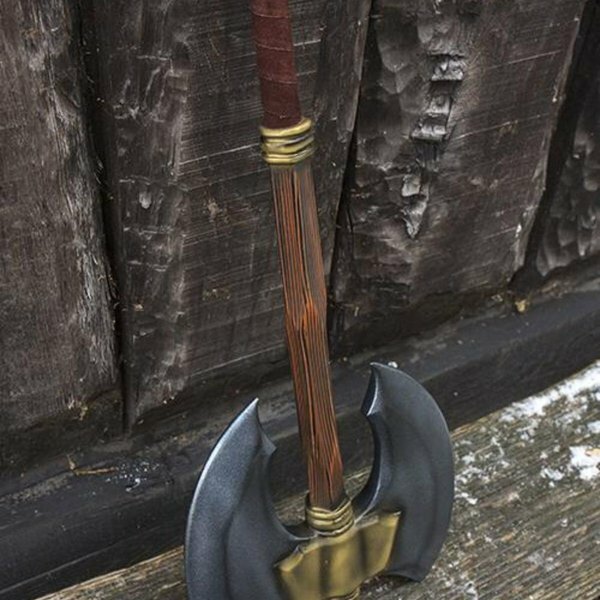 That is why poorer warriors who could not afford a sword could always take their axe with them. 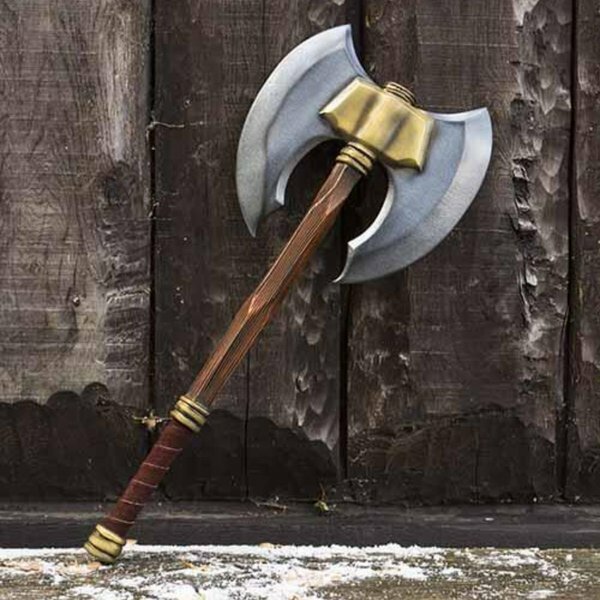 Some people preferred an axe over a sword. 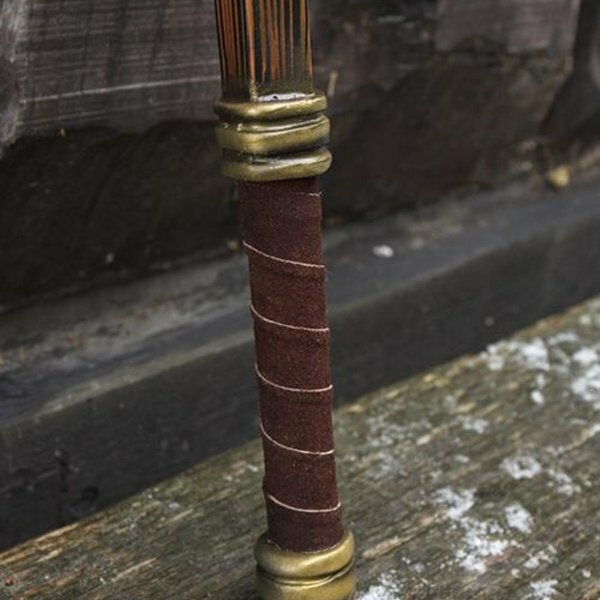 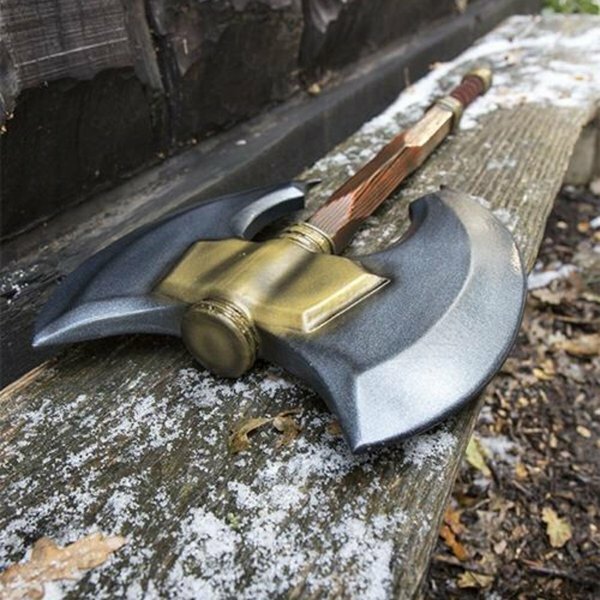 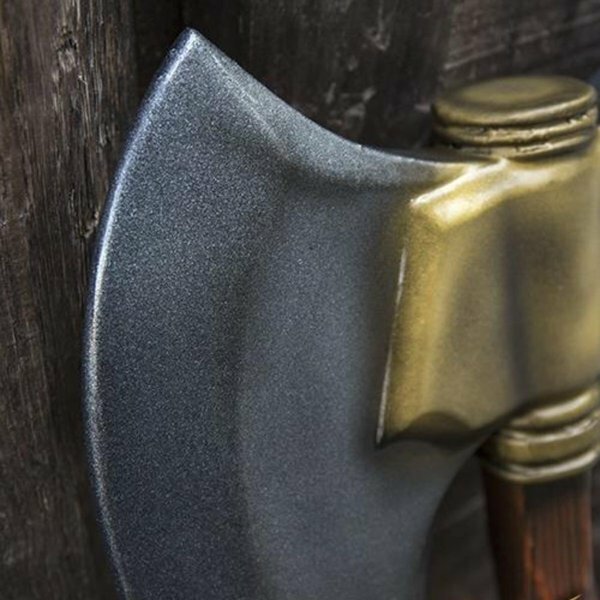 This axe is nicely decorated with brass-colored decorations near the grip and the blade. It has a double axe head so it is even more effective to use in battle, you can kill your enemies with both sides of the blade.